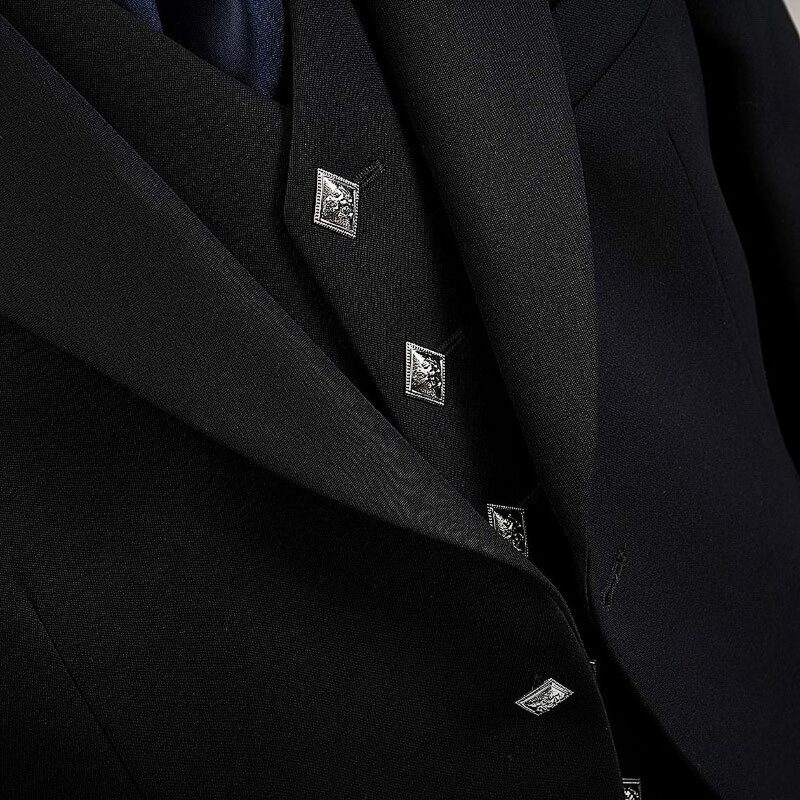 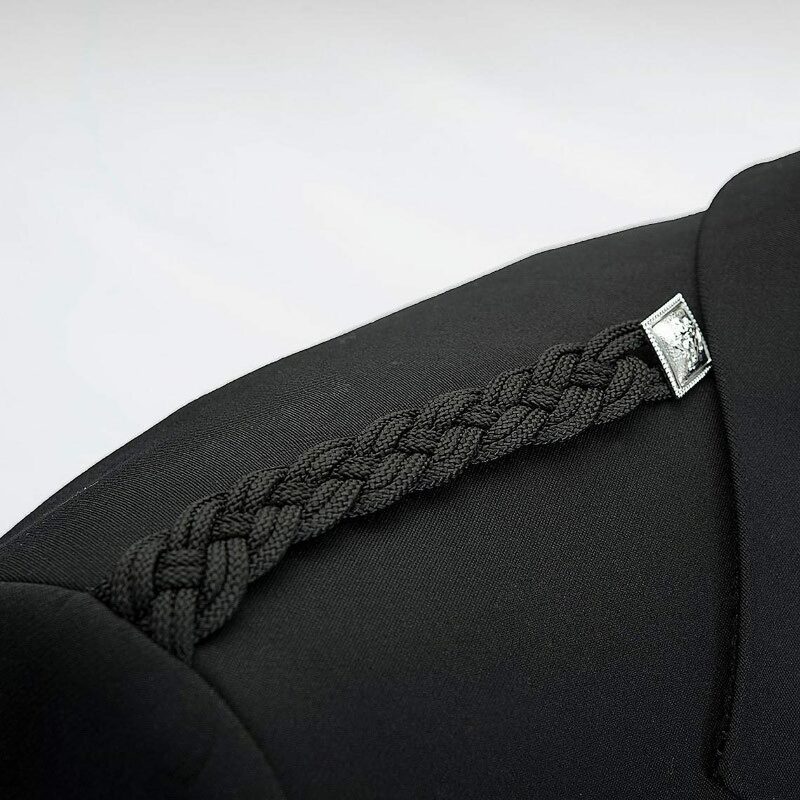 100% pure new wool Argyll jacket, one button fastening, with matching lapels, braided epaulettes, and diamond shaped chrome buttons each with a Lion Rampant. 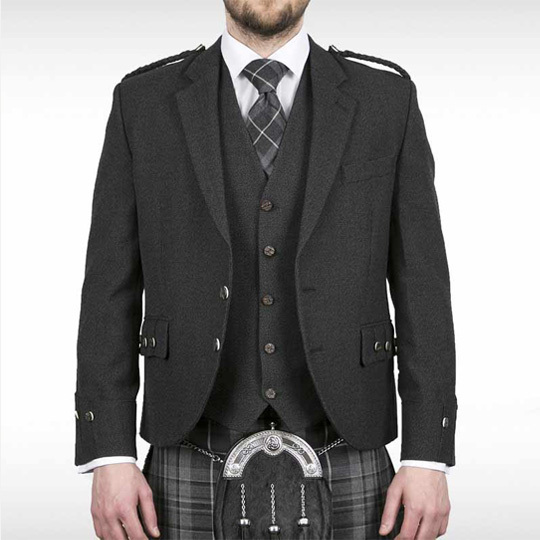 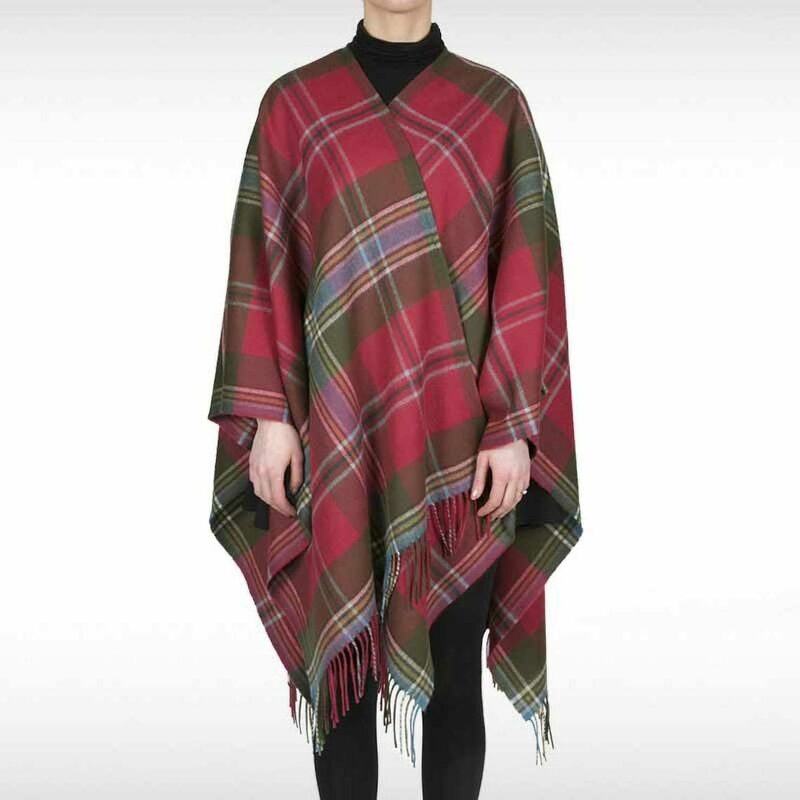 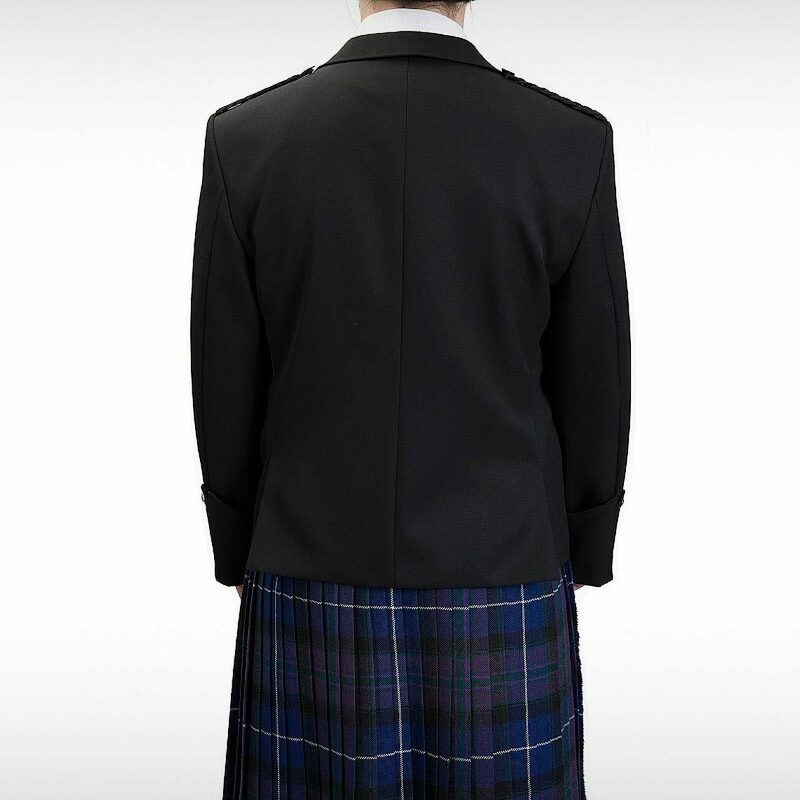 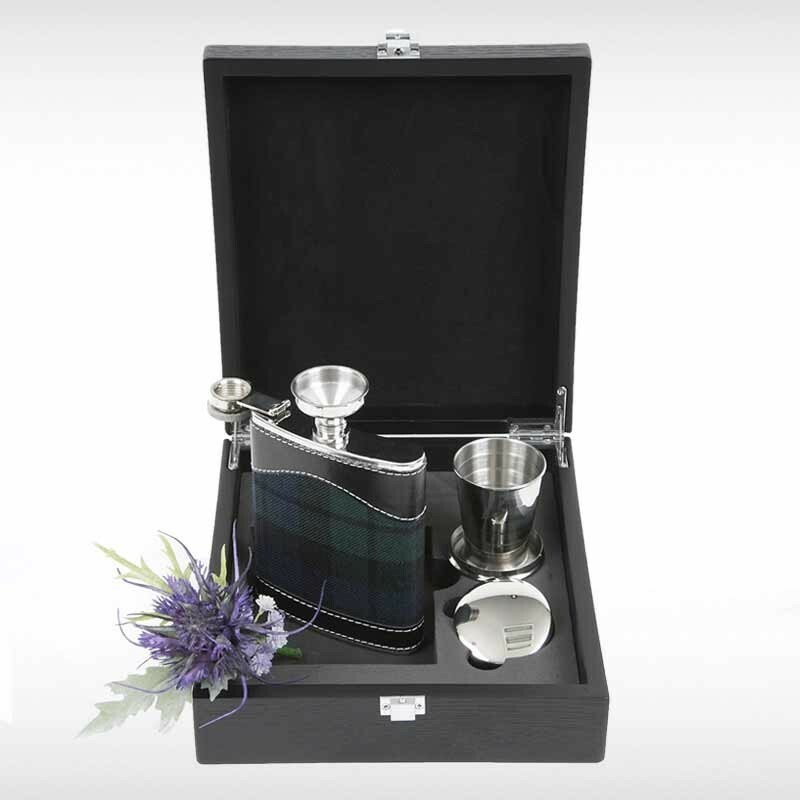 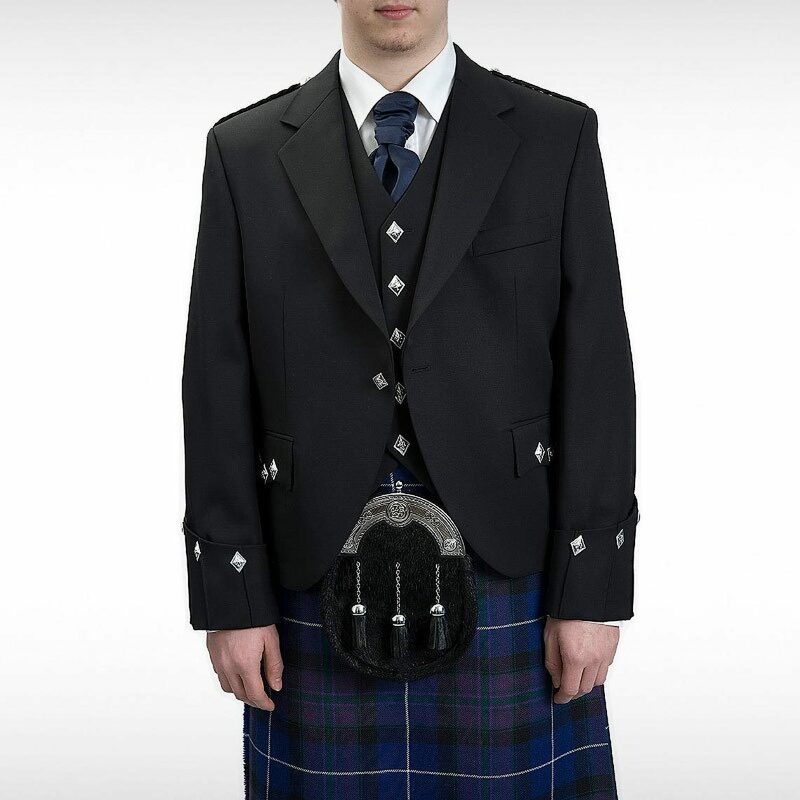 Jacket pictured is the traditional Argyll jacket with the Gauntlet cuff. 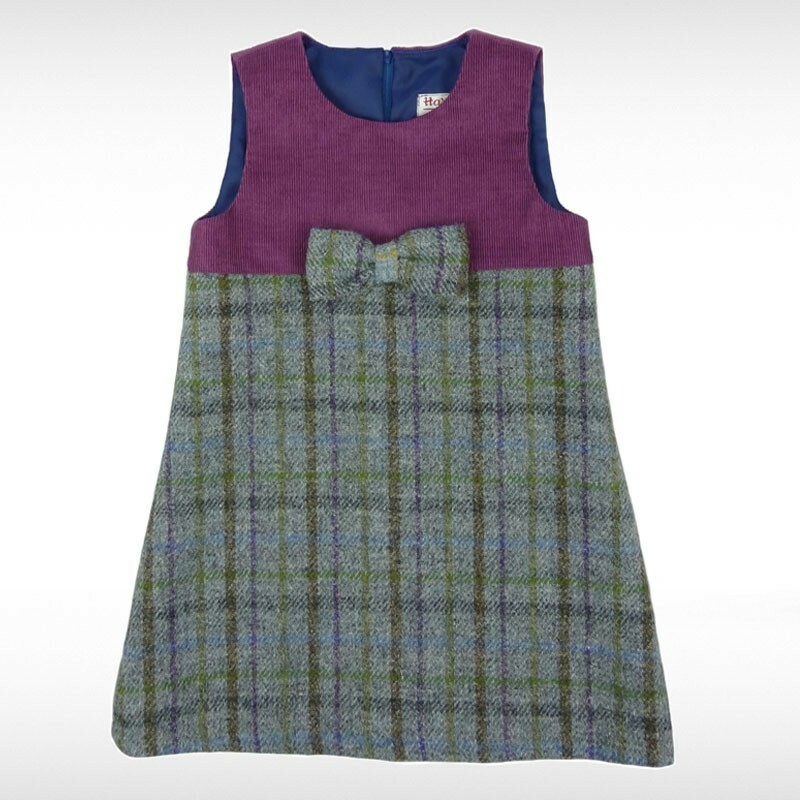 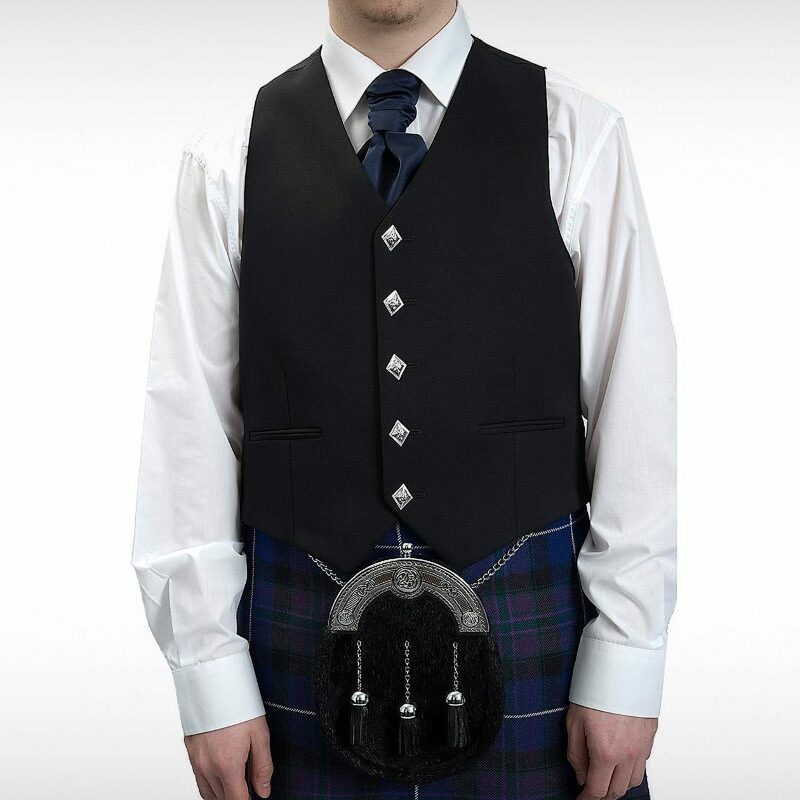 Matching five button waistcoat with two jetted pockets, and a Pride lining. 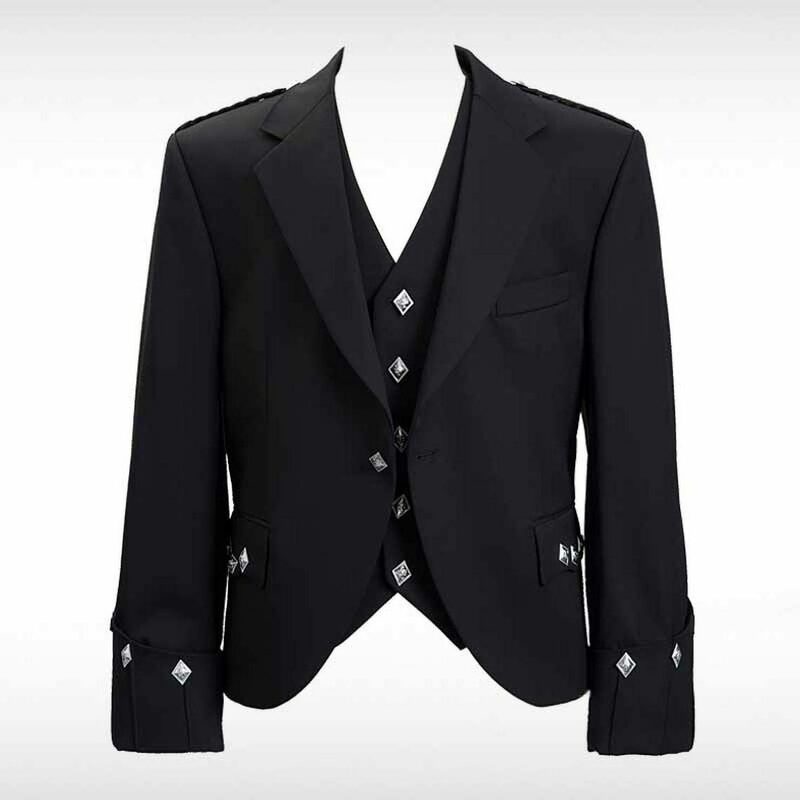 Jacket is semi-formal and can be worn with or without waistcoat (in which is worn with belt and buckle).